This entry was posted in C-Level Executives, CIO, CIO/CTO, IT Process, Management and tagged Alignment, CEO, CFO, Chief Information Officer, CIO, CIO Leader, CMO, COO, corporate innovation, culture, executive, leader, Management by Arun Manansingh. Bookmark the permalink. I folded the CISO under the CIO. Depends on the organization and size. This chart was more of a generic chart showing one possible organization. 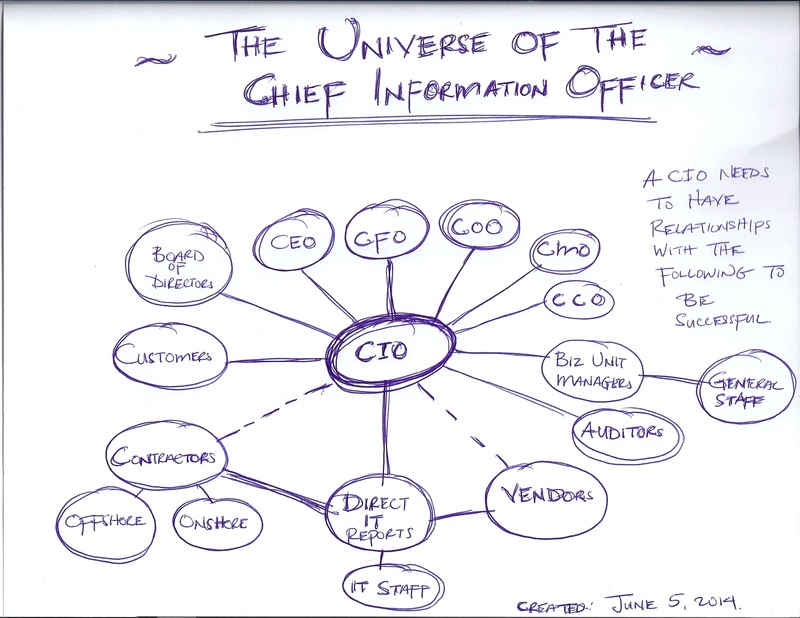 I have a similar chart I use in my CIO Boor Camp Class. Thanks for the comment Fred.